Home » Cheerios Blogger Circle » We could be in a Cheerios.com Ad! We could be in a Cheerios.com Ad! Do you remember when Miss Add and I did our Cheerios Pirate Adventure for Cheerios?!? Well it turns out they liked our little idea! 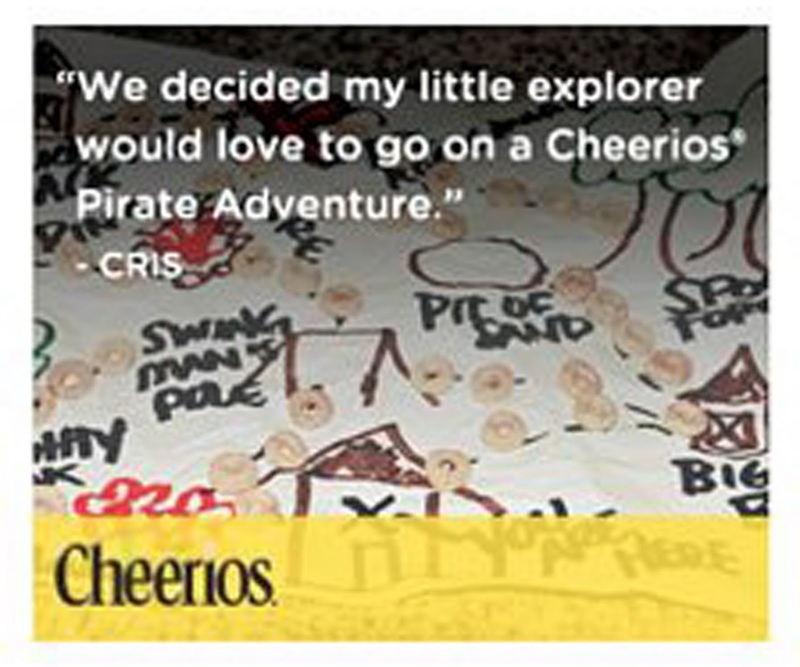 They have chosen our Cheerios Pirate Adventure as one of four ads they are considering for Cheerios.com! So, if you liked our idea and want to give ‘er a vote, we are Ad Version #2. You can vote on Cheerios Facebook Page.